Welcome to my first ever giveaway. Its about time I know and fingers crossed all will go well. I’m not good at things like this hence the delay but I think I’ve got Rafflecopter figured out…time will tell. I figured with Christmas and the impending party season coming up something to glam things in the makeup department would be perfect, plus you know how I love my luxury brands. So, as a special treat I’m giving away this YSL Shocking Volume Mascara in Deep Black and the YSL Rouge Pur Couture Glossy Stain in number 10 which is a cherry red. 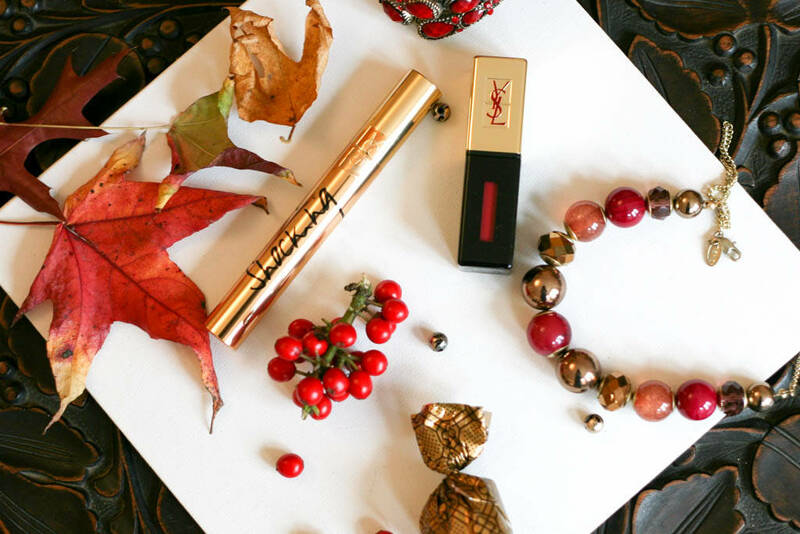 You can’t go wrong with luscious lashes and a red lip…right? 3. To gain extra credits, tweet about the giveaway – the message content is included when you log on to Rafflecopter below. The giveaway will run from 15th November 2016 to 2nd December 2016. I will contact the winner via email so please remember to leave your email address when you log onto Rafflecopter. If the winner does not respond within 48 hours of receiving my email, another winner will be chosen. This competition is open internationally.